By: William L. Exeter President/CEO of Exeter 1031 Exchange Services, LLC. CAN I COMBINE A 121 AND 1031 IN ORDER TO AVOID PAYING CAPITAL GAIN TAXES? IF SO, WHAT EXACTLY NEEDS TO BE REINVESTED? Q: We bought our primary resident 20 years ago for $300,000. We are thinking of renting it out for 2 years, after that we will sell it. If it can be sold for $1,000,000 at that time, can we still claim the $500,000 exclusion (me and my wife) and also do the 1031 exchange? If we are able to have the $500,000 exclusion and also do the 1031 exchange, how much should the new property purchase price be, in order to avoid any capital gain? A: Yes, you can combine the 121 exclusion and 1031 Exchange in order to avoid paying taxes. The day you move out of your primary residence and convert it to a rental property you will have a three (3) year window (36 months to be exact) in which to complete the combined 121 exclusion/1031 Exchange strategy. You can absolutely sell the property after holding it for two (2) years as a rental property, take the $500,000 tax free exclusion and then defer the balance through a 1031 Exchange. The sale must close no later than three (3) years (36 months) after you convert the property from your primary residence into rental property. If you sell the property for $1 million and take the $500,000 tax free exclusion, the requirement amount that must be reinvested would be $500,000 ($1 million less the amount of the tax free exclusion). This means that the value of the new rental property acquired must be equal to or greater than $500,000 in order to defer the remainder of your tax liabilities. WHAT IS THE BEST SOLUTION FOR A PROPERTY WITH THREE PARTNERS TO SEPARATE THEIR INTERESTS AND GO THEIR SEPARATE WAYS? Q: We are currently part of an LLC partnership that hold interest in two different buildings. The partnership is 15-15-70. The partnership is liquidating one of the two buildings and the parties owning the 70% are receiving cash and would not like to do a 1031. Each of the two entities that own 15% (including us) would like to do some or all as a 1031. Are we able to do this? If we are able, can we take some out as cash at the closing of the property we are selling and only dedicate 50% to escrow via a facilitator for purchasing the like kind properties(s) within the prescribed time limits? Or do we have to dedicate the whole of our proceeds to the escrow and facilitator and if we only use 50% of it for the replacement properties(s) wait until the closing to receive our other 50% in cash (boot). A: Partnerships are the most complex part of 1031 Exchange transactions today. Partnerships were the entity of choice during the 60’s, 70’s, and 80’s before the limited liability company became common place. Today, when a partnership is selling real estate and the individual partners wish to go separate ways and also structure 1031 Exchanges, it creates a very complex problem for legal and tax advisors to solve. The issue is that the partnership owns the real estate – not the individual partners. The individual partners own individual partnership interests in the partnership – they do not own real estate. The sale of the real estate by the partnership and the subsequent distribution of cash to the individual partners is just that – a distribution of cash from the partnership. The partners can not 1031 Exchange out of cash. However, there are numerous potential solutions to the problem depending on how many partners are involved, what each individual partners’ goals and objectives are, and how willing the partners are to cooperate with each other in structuring (or restructuring) the partnership so that those who wish to 1031 Exchange can do so. In your case, you might be able to drop the 70% partner out of the partnership conveying title of 70% of the underlying real property to him in return (purchase) of his partnership interest. This would leave two (2) partners in the partnership, and as long as the two (2) partners can continue the same partnership (i.e. no technical termination of the partnership has occurred) under the same taxpayer identification number, then the partnership, which now owns a 30% interest in the real property can continue with a 1031 Exchange transaction. You should run these comments past your legal and tax advisor to make sure that the LLC operating agreement will permit a solution like this and not result in any kind of termination of the existing partnership. MAY I CASH OUT SOME OF THE 1031 MONEY AFTER CLOSING BY FINANCING PART OF THE TRANSACTION? Q: In doing a 1031 Exchange, if the property is more than the 1031 amount withheld, may a party still cash out some of the 1031 money after the closing on the replacement property by choosing to finance part of the transaction? For example, if the 1031 amount withheld was $1,000,000 and the replacement property is $1,000,000 or greater, can the person use $500,000 of the 1031 Exchange funds, take out a loan for the remaining $500,000, and then either use the remaining $500,000 of dedicated 1031 funds on another identified property or cash it out (and pay the taxes)? Or is the person required to dedicate the entire $1,000,000 towards the single replacement property since the property is equal to (or perhaps greater than) the 1031 amount withheld? First, you must make sure that you are trading equal or up in value based on the net sale price of your relinquished property. As long as the total purchase amount of one or more acquired properties is equal to or greater than the net sale price, you have met this requirement. Second, you must reinvest all of your net cash proceeds in one or more replacement properties. You can spread the net cash proceeds around to more than one replacement property, but if you pull any cash out it will be taxable. You can pull cash out as long as you understand that it will be taxable. It does not hurt the rest of your 1031 Exchange as long as you pull the cash out at the time your relinquished property sale closes or after the entire 1031 Exchange has been completed. You cannot pull cash out during your 1031 Exchange. You might want to consider re-investing all of the cash in order to defer all of your taxes and then after a period of time complete a cash out refinance of the property. The refinance will not be taxable. WHAT IS THE BEST SOLUTION FOR “SWAPPING” PARTNERSHIP INTERESTS WITHOUT TRIGGERING CAPITAL GAINS AND DEPRECIATION RECAPTURE? Q: My longtime friend and I have been partners in two real estate investment partnerships (there are no other partners in either partnership) for the past 30 years. Partnership A holds one apartment building and Partnership B holds two apartment buildings. The fair market value of our partnership interests and underlying assets are roughly equal. We now wish to ‘swap’ our partnership interests such that he owns 100% of the building in Partnership A and I own 100% of the buildings in partnership B. Is a Drop and Swap the best solution, given that we can’t do a 1031 Exchange of our partnership interests? Are there other ways to swap our ownership interests without triggering capital gains and depreciation recapture? Thanks. A: Partnership issues are some of the most complicated issues in the 1031 Exchange industry today. There are numerous possible solutions, but all have some degree of risk. Historically, the drop and swap or the swap and drop were the solutions of choice. However, IRS Form 1065 (Partnership Tax Returns) were amended in 2008 and now specifically ask if you have done a drop and swap during the last two tax years or a swap and drop during the last tax year. So, the risk of review and/or audit is substantially greater now with these strategies. However, having said that, there are also IRS rulings specifically regarding parties that wish to exchange so that each ends up owning 100% of one property instead of a partial interest in a number of properties. So, I think in your case it can be done, but you should have your tax attorney review it first to make sure that you are not inadvertently creating a situation that would result in a disallowed 1031 Exchange. Your questions are always welcome; we invite you to submit them to us at aptmag@exeterco.com or by posting them to the Exeter Discussion Board at exeterboard.com. William L. Exeter is President/CEO of Exeter 1031 Exchange Services, LLC. 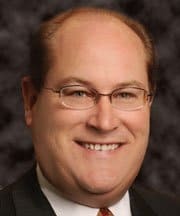 He’s been in the fiduciary services industry since 1980, began specializing in real estate tax strategies in 1986 with a specialty emphasis in 1031 and 1033 Exchanges, Self-Directed IRAs, and Land Trusts. Bill has written and lectured extensively on 1031 and 1033 Exchanges, Self-Directed IRAs, and Land Trusts and is a frequent guest expert on San Diego Radio Shows “The Financial Advisors — Money Talk Radio Show” on AM 600 KOGO and on “Inside Business Radio Show” on AM 1000 KCEO. You can email your questions to aptmag@exeterco.com, call (866) 393-8370, fax to (866) 393-8371 or mail to 402 West Broadway, Suite 400, San Diego, CA 92101, exeter1031.com. We have Answers; Go Ahead, Ask!